Brasov (pronounced Bra-shov) was our first destination in Romania. While we could go on about its Dracula-steeped history, the lore and legend of Transylvania and Vlad the Impaler, the truth is that the relationship this city and this country has with Bram Stoker and his works (along with Vlad the Impaler) is complicated, for lack of a better word. Looking past all of that, Brasov was a city that surprised and delighted us, with an adorable old town, a gorgeous mountain with amazing panoramic views and to top it off, an honest-to-goodness Hollywood style sign on the hills! A bar bringing together books and jazz (and pizza!) What could be better? The unassuming street sign gives no real clue to the gorgeous space within, but stick with it, wander down the alley and up a set of stairs to the side and you’ll be rewarded with a sublime bar that oozes cool. Wallpapered with sheet music, decorated with shelves and stacks of books everywhere you look, plus delicious pizza to boot, this is a definite must for a booklover wanting to kick their feet up and enjoy some chillout music with a drink or two. X-Factor: Book sculptures with music instrument pairings were an excellent touch. Tiny storefront dwarfed by its neighbouring shop, Ralu is a bookstore targeted towards school students. It contains only a small selection of English classics, including the works of Shakespeare. X-Factor: Worth a wander through the crowded space, which includes a religious books section complete with reading chair. A large bookstore with a collection of English classics and new releases that can only be described as random. When we visited they appeared to be in disarray, piled and scattered in no particular order in the basement level. X-Factor: An impressive selection of tea and tea cups! Hidden from the street, Okian is typical of the bookstores in Brasov, stocking mainly classics. It does, however have some recent English new releases, especially in the YA genre. X-Factor: Large collection of Penguin books. The most beautiful bookstore in Brasov, Carturesti has a wonderful atmosphere with lots of natural light. Containing an impressive range of English books alongside local novels across three whole levels, you can spend hours browsing their shelves and admiring their indoor balconies. X-Factor: Excellent range of English books in almost every genre imaginable. Another hidden bookstore, this one tucked behind the popular Black Church of Brasov, this store solely stocks second-hand and antique books, all in Romanian. Worth a visit just for the cozy atmosphere. X-Factor: Run by a pair of elderly ladies, this bookstore is sure to make you feel like a local. Easy to spot from the main square (just look for the cute pedal-bike book cart by the door), Humanitas is a Romanian bookstore chain (just like Carturesti above) that stocks a carefully selected range of English books, alongside an expansive selection of Romanian. While not especially large, their English section covers off most of the books likely to appear on lists of books to read before you die. X-Factor: Old vaulted ceilings with original paintings and a mural on one of the walls of this store. A bookish-themed pub, this establishment covers three floors with a décor more eclectic and confused as you ascend. Walls plastered with books, pages, posters and more, it feels random and haphazard, but also homely, as though you’ve just been invited into the house of some eccentric librarian who’s won the lottery and has decided to open a restaurant just for the hell of it. Food is typical pub-style: tasty and lots of it. X-Factor: Cozy reading room with most of the books up in the attic. Named after a famous Romanian poet, translator and journalist, this bookstore has a dark, moody vibe with tall, crowded yet orderly bookshelves lining the walls. X-Factor: A good range of English manga, such as Naruto, Bleach and more. That brings us to the end of Brasov. A great city with a great vibe and heaps of restaurants, bars and cafes, it pained us to say goodbye. 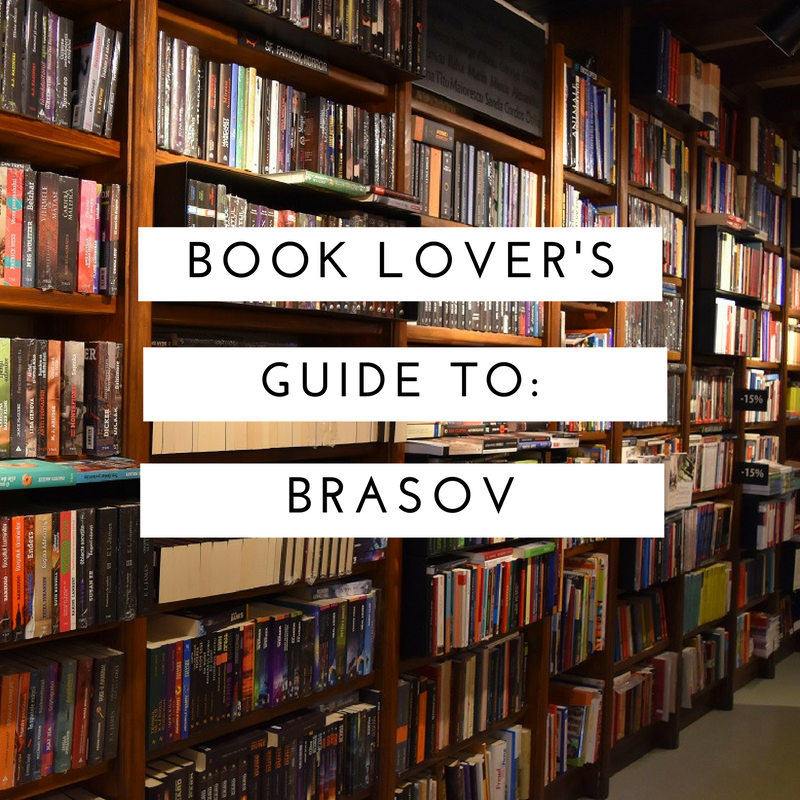 But we had to, for our next destination was Iasi, a city right near the border of Moldova where we heard a certain library simply had to be visited. We’ll report in next week with our findings!